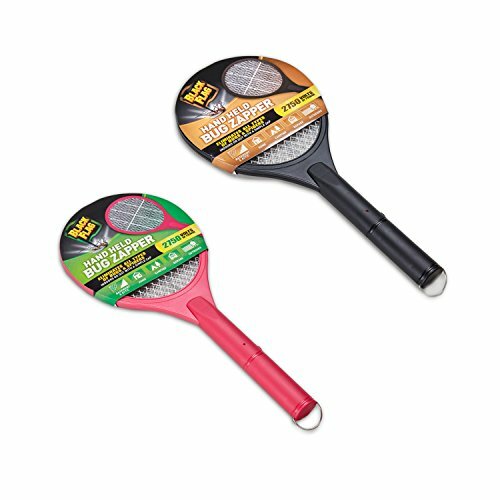 This racket-style handheld bug zapper puts the fun in bug control. Take matters into your own hands with this racket bug zapper with 2750 volts of power and a convenient, on-demand design. Whether on the go or at home, the Black Flag handheld bug zapper will keep your immediate surroundings pest-free. Measures: 1" L x 8.75" W x 19.25 "
View More In Bug Zappers. If you have any questions about this product by Greenscapes, contact us by completing and submitting the form below. If you are looking for a specif part number, please include it with your message.